In recent years, we have extended our product range to include a wide range of premium quality beds and mattresses. This means that when it comes to redecorating your bedroom, you can spend less time finding other home furnishing retailers and know that your bedding and flooring is in safe hands. 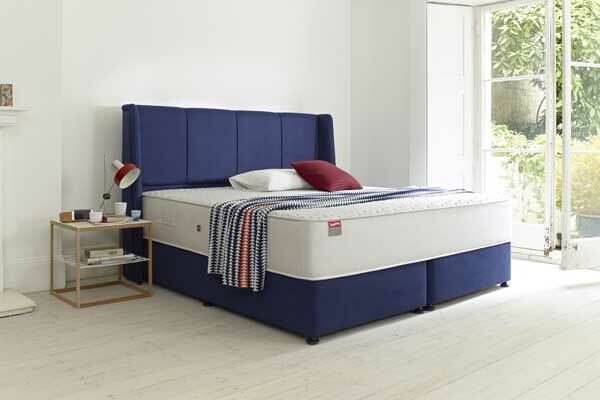 Our range of bed bases, mattresses and divan beds include products from reputable brands such as Slumberland and Shalespeare. As always, we aim to maintain low prices on top brands, as well as offering dedicated customer care. Our extensive range caters for all requirements and budgets, from comfortable quilted sprung mattresses to luxurious orthopaedic beds. One of the reasons we supply Slumberland beds is their proven quality which includes the Affinitex Top Layer which is highly breathable and uniquely flexible, treated with Actipro® to neutralise bad bacteria and allergens. Visit our showroom in Torrington to view our range of beds, mattresses and flooring. With a team of trained advisors on-hand, we’ll help you to find the right bed for your requirements and budget. We are able to deliver to clients across Devon and North Cornwall, including Bideford, Barnstaple, Torrington, South Molton and Bude.To speak to a member of our team, please call us on 01805 623112 or complete our enquiry form and we'll get back to you as soon as we can.